Recently, I was having trouble seeing. As someone who has either worn contacts or glasses for almost 22 years, this is nothing new. Usually, it has to do with not eating the right food, or being a bit dehydrated. Because, blood sugar and eyesight are super linked, did you know? What we see is our guidance for life. Sometimes, when we can’t see our vision is at it’s greatest. (metaphorically speaking, of course). When winter hides all the life underground. You have to tap into your past experiences to know: there will be new life. When you have a gut feeling to change something in your life, though you don’t know what it is. When you don’t know what to create next, but yearn to feel that creative spark. When the moon is dark you are reminded to trust our inner seeing, or intuition. Have you ever been out for a walk in the woods on a bright moonlight night? It’s almost like a lamp is guiding you the entire time. When the sun is not reflecting on the side of the moon we see, the walks in the dark are…well, dark. You have to trust the path you’ve gone before. You have to use your senses to lead you. You have to go slowly, and rest more. In reflection of all of this, I have started to use my vision less in my creative process. How? Mostly through blind contour drawing. 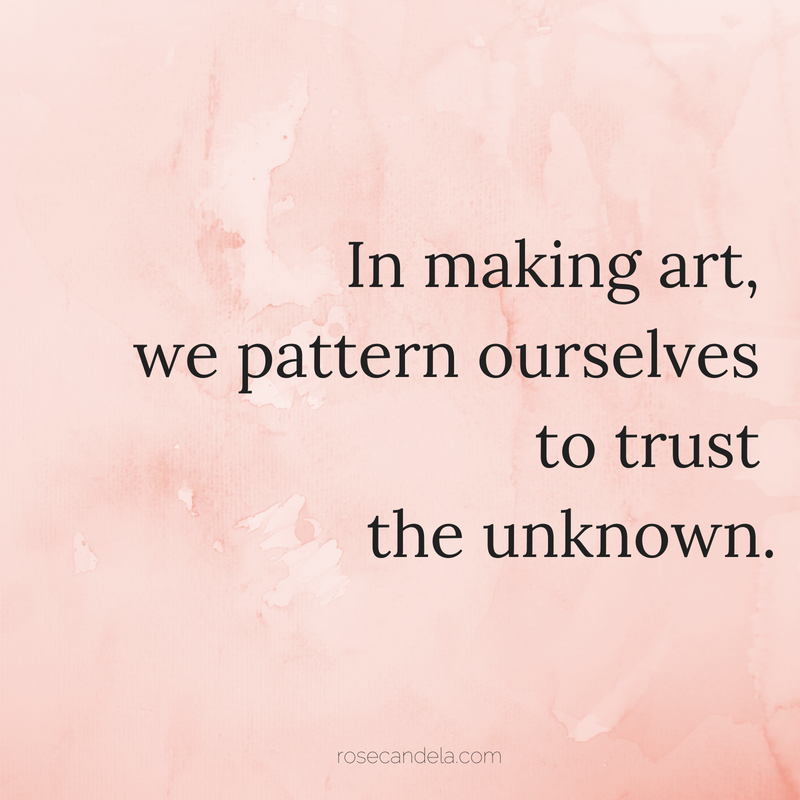 In making art, we pattern ourselves to trust the unknown. Blind contour drawing is all about leaning into your senses, your perception, your creative spark to make something. If you’re not a visual artist, I still invite you to watch + listen to 5 minute video. I created this because I know the practice is as simple and profound as it gets. If you’ve ever been confused about something in your life, this lesson is for you. Enjoy this lesson, and most of all: have fun. what’s one thing you’re going to do today to trust the unknown more? When you post everything, what is left?